I’m in a nostalgic mood. On the heels of this year’s Time Out Doha Restaurant Awards, I’ve felt the urge to revisit the winning establishments, my way of remembering and rediscovering those flavours that enthrall. These are the city’s very finest places to dine, serving food inspired from every corner of our planet. The menus may continually be refreshed, reinvented; but it’s the signature dishes that draw me back, for they express the ethos of the kitchen, the finesse of the chef, and the identity of the restaurant. Simple. Elegant. Timeless. This dish has been a bestseller since opening day. At the heart: a remarkably moist piece of salmon, flash seared to start the cooking process then finished off in the oven. A water bath inside creates a steaming effect, ensuring the fish does not dry out. 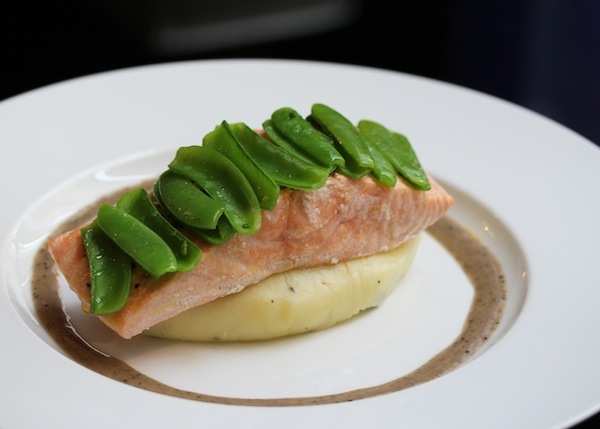 It’s served on a bed of potato puree — silken in texture, buttery in flavor, yet pillow-like in its lightness of texture — and topped with snap peas: al dente for crunch, vividly green for colour contrast. But it’s the final element that ties them all together: a piquant emulsion of white wine vinegar, cider vinegar, and truffle oil. It’s so decadent you’d be easily forgiven if you ask for an extra cupful. 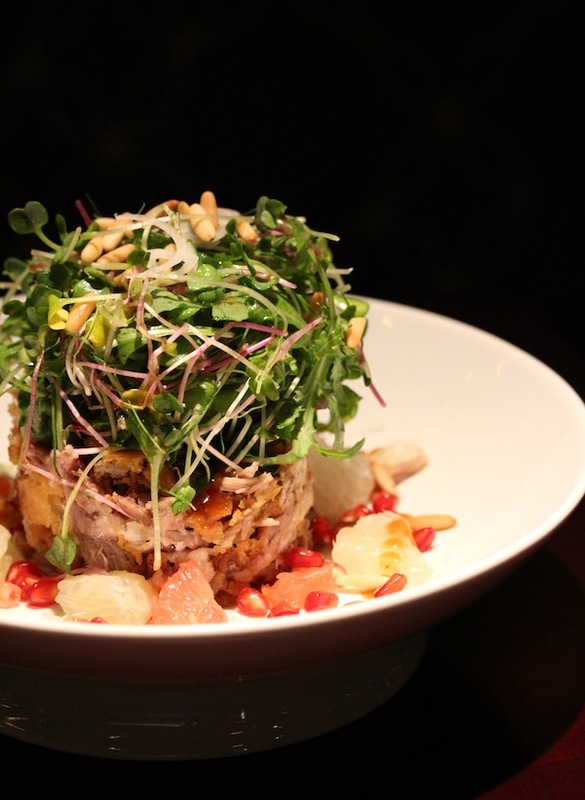 Think Hakkasan, think crispy duck salad. For one, you’ll find it in all 12 Hakkasan outposts around the world, from Mayfair to Miami and Mumbai. The allure of this signature dish rests in the artful combination of intensely fragrant duck – rubbed in spice, poached to cook, and fried for texture – with fruits and shoots. Pomelo, grapefruit, and pomegranate are the celebrated stars; every bite releases bursts of juices… sweet and tangy, a friendly foil to the fat-laden bird as well as bitter microgreens bathed in a dressing with hints of plum. Throw in some roasted pine nuts and sliced shallots for good measure, and, voila – it’s a masterpiece worthy of dynastic fame. 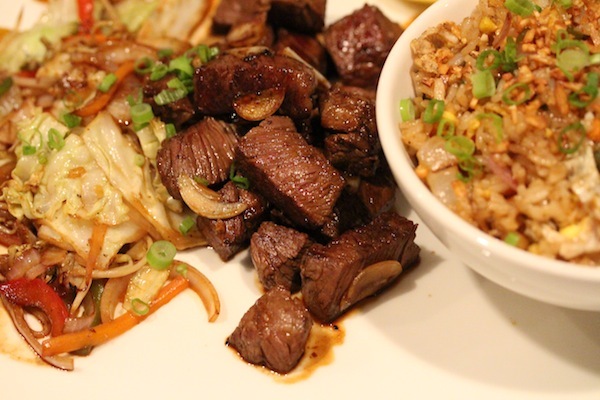 Like most cases with teppanyaki, the enjoyment of the dish is derived partly from the preceding show. And the chefs at Sakura sure know how to excite ravenous diners. Using knives as sharp as a Samurai’s blade and moves equally deft, they bang on the griddle for attention, flip their utensils with verve, and perform egg acrobatics: juggling, catching with hats, and cracking mid-air. It’s an all-sensory dinner theatre, with the action an arms-length away and the aroma of toasting garlic enough to whet the most wan of appetites. There are several options of seafood and meats; my preferred cut is the beef tenderloin, grilled to a delectable medium rare. Biryani is one of the treasures of Mughlai cuisine, a dish popular at banquets and weddings for the grandeur it exudes: rice streaked with saffron milk and layered with aromatic meat, nuts, and raisins. 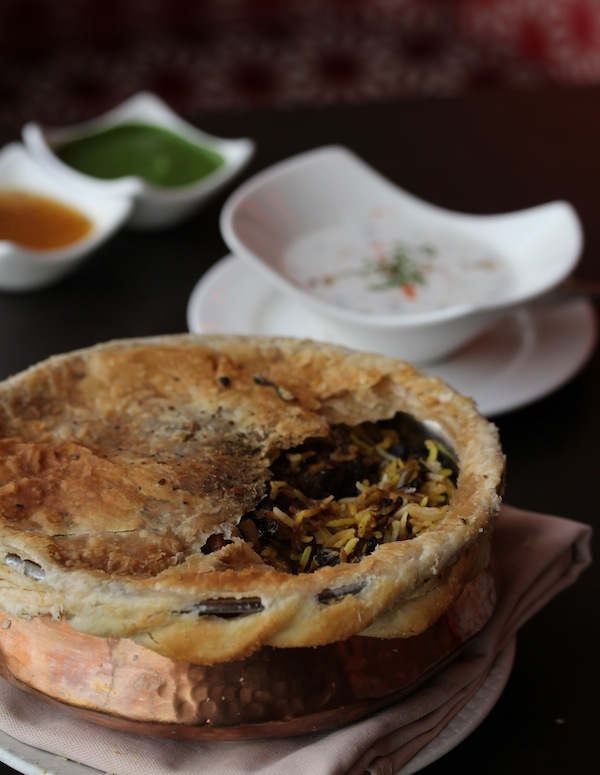 Saffron Lounge adds its own special touches, introducing apricots and rose water, then slow cooking the entire casserole dum-style in a round-bottom handi sealed with a flaky pastry. This method associated with the city of Hyderabad ensures moisture is retained and flavours fully intermingle as the rice and lamb cook. As you break into the pastry shell initially, make sure you take a deep breath to inhale the wisps of steam that escape – a heavenly prelude of the meal to come. 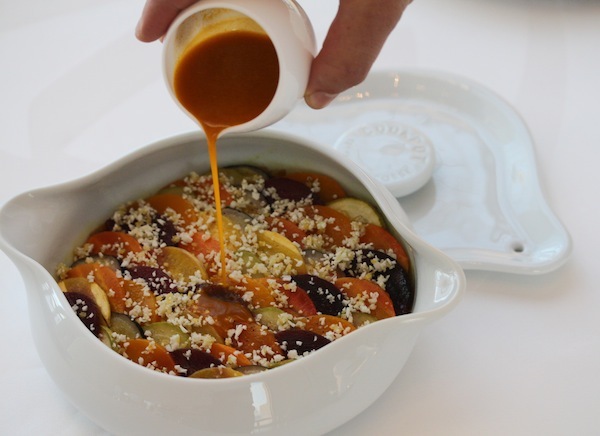 Not merely a pride of IDAM, the Cookpot is, in fact, the hallmark of Alain Ducasse himself. The name refers to both the dish and the implement in which it is prepared, a cooking tool inspired by functionality and aesthetics. Designed by Ducasse, the porcelain chamber features a mouth that turns into itself, allowing the ingredients to diffuse their own moisture and cook in their humidity. What’s inside is dictated purely by the season. Vegetables are chosen from market availability for their freshness, so each visit can yield surprising new flavours: perhaps some woody artichoke, the lingering liquorice scent of fennel, or traces of honey-like sweetness from pumpkins. Saffron – the Bentley of spices. Most restaurants treat the precious strands like gold; their prices justify such care. But Parisa does things differently. Its kitchen exalts the saffron by using it liberally… to perfume rice, marinate meats, and flavour desserts. 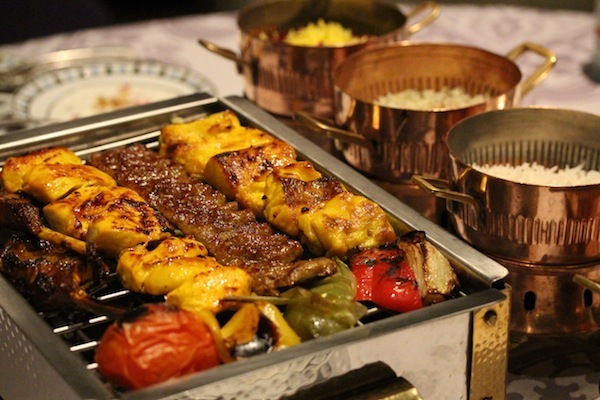 This is luxury that borderlines extravagance; but the result is a presentation of Persian cooking so refined it’s worth the indulgence. The sharing platter involves a selection of grilled meats and seafood, still sizzling at the table and tinged the colour of sunflowers. The order can also be customised to include fish or shrimp, but the lamb chops are compulsory – saffron-infused, they taste unlike anything else in town. 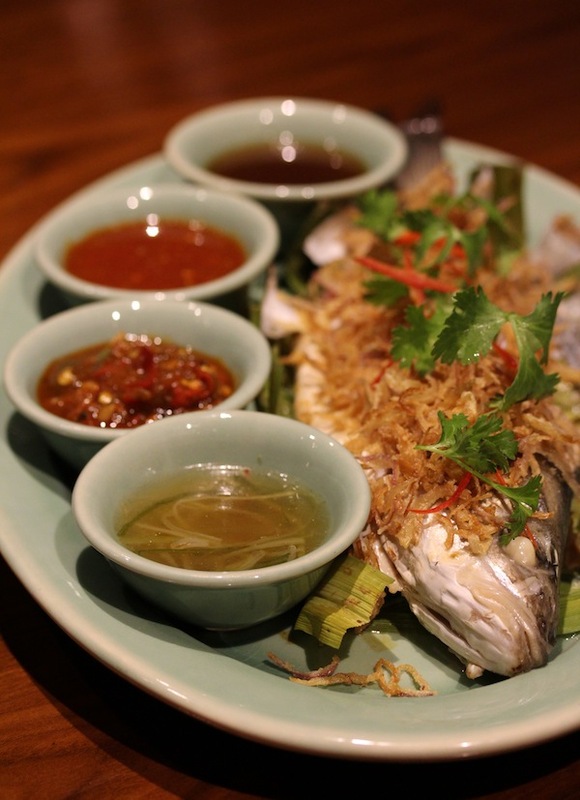 No experience at Isaan is complete without the headlining sea bass in pandan leaves. The fish is grilled and served on a network of overlapping pandan leaves, woven tight like a net to capture the juices, bound into a cocoon to lock in the flavours. With confident subtlety, the leaves impart their scent, a cross between vanilla blossoms and freshly cut grass – they make the sea bass smell and taste intoxicating. Then for even more oomph, there are four dipping sauces: roasted chili, leek ginger, spicy palm sugar, and tamarind. It’s so easy to feast on the fish with complete abandon, especially when all the bones have been skillfully removed — the head and tail held by just charred skin. Love your steaks? Have three! A treat for meat aficionados, the tasting plate comprises three medallions of Black Angus fillet from Argentina, USA and Australia. The server will gladly tell you which is which, even suggest a sequence to consume them. But the real fun is guessing for yourself. Take your time slicing each and tasting each steak, comparing their different qualities. The cows may be the same breed, but they could have been grass-fed, corn-fed or a combination. 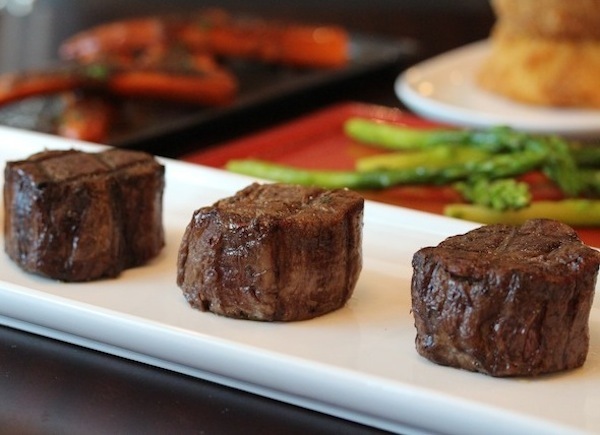 There’s nothing gimmicky about the dish, just an ingenious way of letting diners appreciate beautifully cooked steaks. Oh, and the platter comes with one side option – I suggest the onion ring tower. This entry was posted in Reviews and tagged awards, cooking, cuisine, desserts, dining, doha, European, Indian, Mediterranean, qatar, restaurant, restaurants, steakhouse, vegetables, Winners. I’m on my way to Doha—–everything looks and sounds delicious!!! Oh, and the photography is to die for too!!! Thanks for stopping by, AC!